Blackjack has never traditionally been favoured by Las Vegas Casinos. Tiny margins and a game, if played to perfection, that can be beaten by a miniscule percentage. If they could have done away with the game in the 1980’s, when card counting and the infamous MIT Blackjack Team were at their pomp, they surely would have. Things were to get a whole lot worse when poker began its rise in popularity. It’s a game whereby thousands, sometimes tens and hundreds of thousands, often changes hands yet ‘the house’ receives just a small ‘capped’ rake for their part in this big loss. If you have ever wondered why online poker at European bookmaking sites is now no more than an unpromoted small scale add-on – let us not forget Ladbrokes Poker was Europe’s biggest poker site until 2005 when it leased Microgaming software but dwarfed what that entire network now offers in terms of liquidity – look no further for the smoking gun. But a new pastime, amusement and yes, betting medium, is taking over the world; eSports. This skill-based video gaming is enjoying an ever-increasing percentage of bookmaker turnover and Las Vegas, for so long considered purely a gambling mecca, is becoming awash with eSports venues. The most notable of which is the HyperX eSports Arena within the Luxor Hotel and Casino. Attracting fabled ‘Millennials’ by the proverbial bucket-load the mind-set of eSports players is ‘skill’ and, in the same way Bingo and Keno slowly lost its fan-base, this new generation is starting to abandon slots, instead seeking gambling games that reward good play as opposed to random luck. Acutely aware that slots currently account for around two-thirds of land-based and online casino ‘take’ and the new generation of gambler is more familiar with video styled games, casinos are gradually introducing a new generation of ‘skill-based slots’ to head off a potential profits dip. Games like video poker, which gives the impression a player is using a degree of skill, no longer cuts the mustard. Laws and regulations meant they come under the established brief of “all bettors have an equal probability of winning”. However, in late 2015, Nevada lawmakers permitted slots which reward players who show a greater degree of skill, to receive greater winnings. A second live casino hotbed, Atlantic City, followed suit later that year. 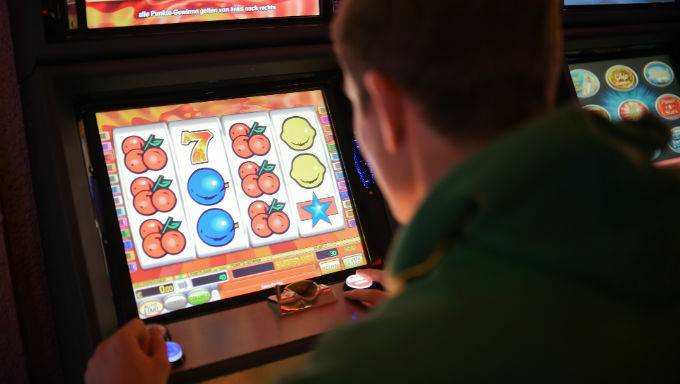 Unquestionably the purpose is to make slots attractive to younger players. So far no ‘skill-based’ slot has risen above traditional slots but that point does not detract from the fact game-play interactive skill-based slots are popping up in both land-based and online casinos with more and more frequency and could have the market share of all slot games within the next decade. How Soon Could We Be Betting on eSports at the Olympics?